After arriving from the Arctic for the winter, the geese are constantly flying off in search of food. Once area has been depleted, these voracious eaters go off to meadows and ponds but usually return to the same location to settle in for the evening. 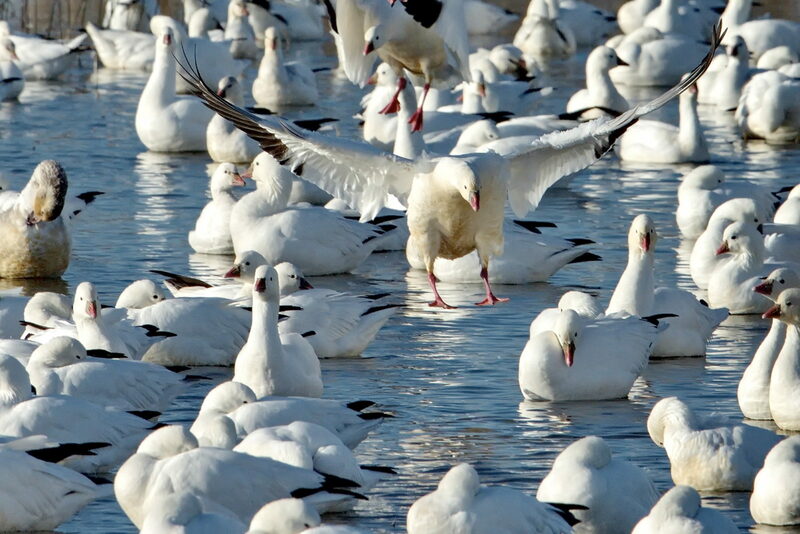 Currently at the Merced Wildlife Refuge, there is estimated to be 30,000-40,000 Ross's and Snow Geese. This is a photo of returning Ross's geese for the evening.